Friday is my favorite day. Why? Because that means it’s day 8 of our 20 day giveaway celebration of AnandTech’s 20th anniversary, which means it’s time for two more lucky readers to win prizes. Taking us into the weekend is OnePlus, who will be helping everyone stay connected. 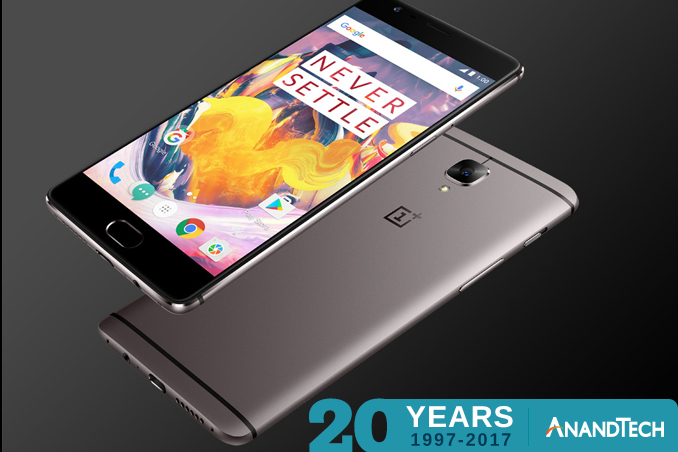 For their part of the At20 giveaway the unconventional smartphone manufacturer has sent over not just one, but two of their flagship 128GB OnePlus 3T Android smartphones. Released back in November of 2016 as a step-update of sorts for the original OnePlus 3, the OnePlus 3T is a 5.5-inch Qualcomm Snapdragon 821 based Android smartphone. 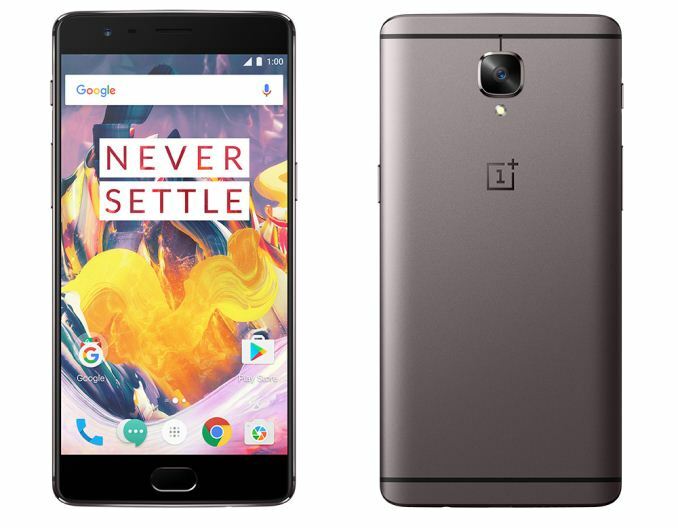 OnePlus’s place in the market is an interesting one as the company has established itself as a reliable vendor of affordable high-end smartphones, and the OnePlus 3T follows in this trend. Paired up with the SD821 is 6GB of LPDDR4 memory, and for storage we’ve been sent the larger capacity model with 128GB of UFS 2.0 NAND. On the visual side of matters, the OnePlus 3T comes with a 5.5-inch 1080p PenTile AMOLED display, which in proper sRGB mode we’ve found to have great color accuracy and reproduction. Meanwhile capturing the visual world is a 16MP camera with OIS, backed by Sony’s IMX298 sensor. Powering the whole phone is a larger-than-average 3400mAh battery, which gives the phone a bit of an extra kick in battery life. Rounding out the 3T, the phone’s body is built from a single piece of aluminum with a tapered back, giving the phone a seamless design. On which note in our review of the phone last year, Brandon Chester called out the design of the 3T as one of his favorite parts of the phone, noting he especially liked the phone’s design and button placement. Finally, as with our other giveaways, this afternoon’s giveaway is only open for 48 hours, so be sure to enter soon. However please note that for legal reasons, we’re only able to open these giveaways to residents of the United States. Good luck to everyone! And be sure to check in Monday for our next giveaway.